Sunrise Adventure trek is a leading company for Tour Operating and Adventures in the Himalays with more than a decade of expertise. We are team of highly specialized, trained and knowledged individuals working for common goal of delivering best services and making your journey in Himalayas of Nepal, India, Bhutan and Tibet a memorable one. 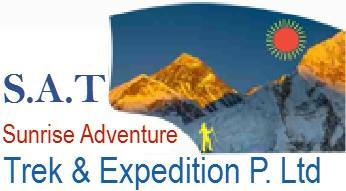 Sunrise Adventure Trek SAT offers adventure trip and we are expertise to organize trekking and tour in all regions, trekking peak climbing on all peaks opened by Nepal Mountaineering Association and also provide logistic support with full scale Himalaya expedition in Nepal & Tibet. We customize your adventure holidays as well as cultural tours in Nepal, Tibet and Bhutan. Nepal is an attractive destination for trekking, peak climbing, Himalaya expedition and cultural tours. Trekking in Nepal is the most popular tourism activity. Giant snow peaks and hundreds of snow pinnacles contribute to make expedition in Nepal popular for mountaineers. The great Himalayan ranges stretched from east to west in the north of Nepal offer enormous opportunities for trekking to the base of famous mountains and climbing the peaks from 6000m. to 8848m. Mt. Everest. 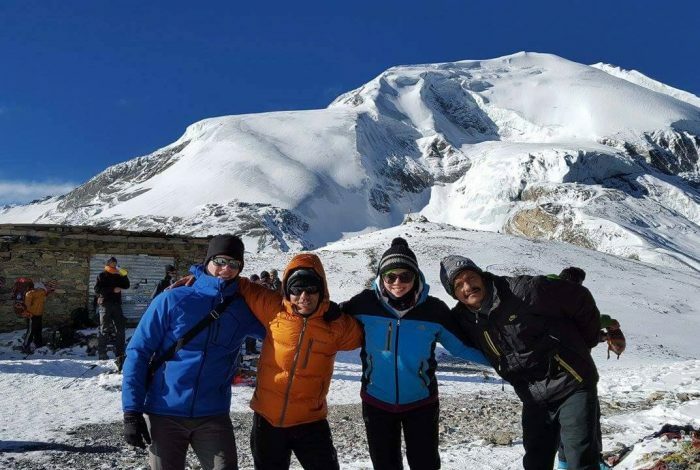 Trekking peak climbing in Nepal offers great opportunities for novice climber to have the taste of climbing on high Himalayas combined with trekking in Nepal.